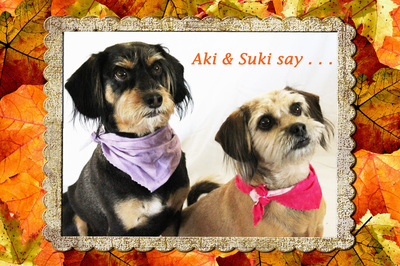 Custom Greeting Cards of Your Own Pet - Yes, your own pampered pet can "give back"! 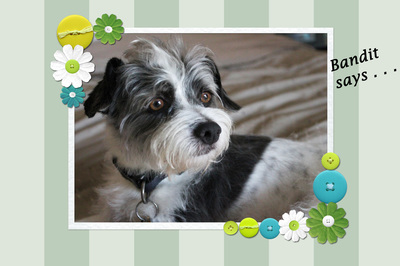 Order a set of cards (4 cards max) with your own or someone else's pet on the front! Just email a couple of good photos to us. Your pet's name is on the front, and the inside says, "Thinking of You," or it can be blank. $10 each (extra for shipping, or you can arrange a pickup. Prints suitable for framing also available at $5 ea. 4 x 6. Who doesn't need to send a special greeting card once in awhile--for a birthday or holiday or get well? For more information, email us at info@lifelineforpets.org. IDEA: Send a card from your pet to a friend's pet! Or order a print of your friend's pet as a gift! Here are some examples. Click on each picture to enlarge. 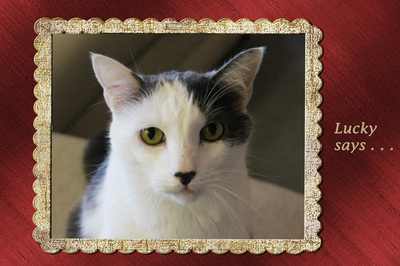 Ready-Made Greeting Cards - Just like the above, only of various cats and dogs, including some of Lifeline's own! Sold for $3-$4 each at Arcadia Community Center Gift Shop, Pasadena Assistance League, and at various Lifeline adoption events. Catnip Sox - These little socks are filled with catnip, lovingly handmade by our volunteers! 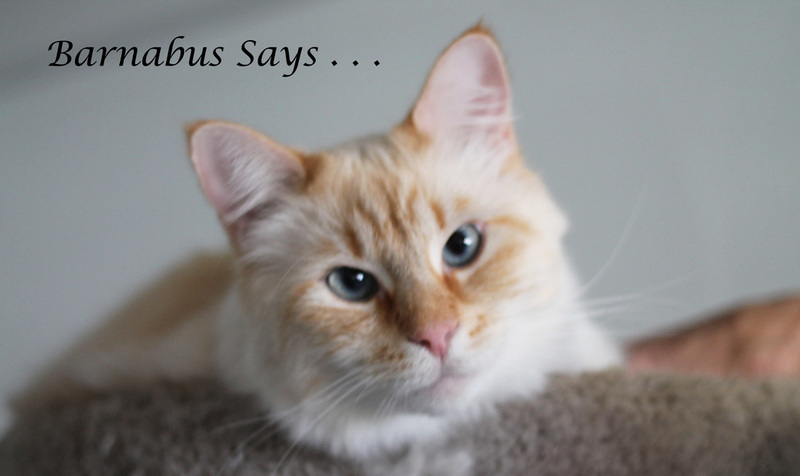 They are sold at Whiskers to Tails Cat Hospital, Cat's Pajamas Boarding, Arcadia Community Center Gift Shop, Pasadena Assistance League, and at various Lifeline adoption events. Only $4 each. Purr-fect for kitty holiday gifts or anytime! Cat Magnets - Handy refrigerator magnets made from vintage cat illustrations by one of our volunteers. Sold at Whiskers to Tails Cat Hospital and The Cats Pajamas. 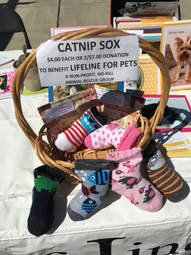 Other - If you are a knitter or crafter, and wish to make something inexpensive, cat or dog related, that you can donate and that we can use as a fundraiser item, give us a call at 626-797-1753.